Isn’t she darling!? Although Rowan Blanchard plays a villain of sorts in Disney’s recently released A Wrinkle in Time, she’s anything but that in real life. What a ray of sunshine she was to interview and I would definitely be watching for more projects from her in the future. 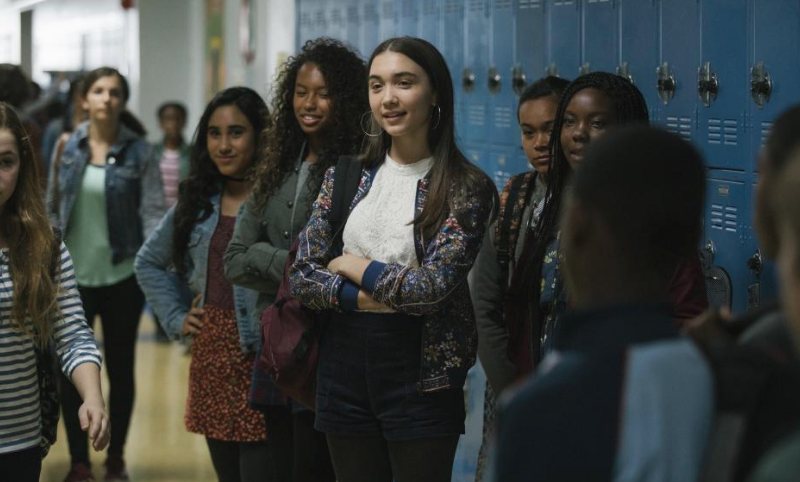 In the movie, Rowan plays “Veronica Kiley” who is is a thorn in the side of the movie’s main character Meg (played by Storm Reid) and she does a fantastic job in this role. The obvious question was to ask her how it felt to play the “mean girl” since she clearly isn’t one by nature. It was definitely different for me. I felt like I was doing it in this way where it wouldn’t be minimized to just a very stereotypical mean girl role. I really trusted Ava to make a character that felt complex and more than just a mean girl. I think there are a lot of layers to Veronica that we get to see throughout the film. There are a lot of different parts to her that you sort of see as the film unfolds where she’s more than just the bad girl or the mean girl, which was a relief. Expanding on this even further, she shared with us some of the lessons that she learned from her role. It definitely made me aware of how the bully is always the person who’s hurting so deeply inside, which is such a stereotypical thing to say, but very true. And I think we see that in one scene with Veronica – like the layers of her body insecurities and all of these things that are very, very real. Things that teenage girls sort of access every day. Young Rowan definitely presents herself as a strong young lady with a big heart and strong awareness about who she is and where she is going. I have to give myself permission to be a warrior on the daily. It’s not something that is a very conscious thing where I feel totally empowered and fearless every day. There are some areas that I feel more confident and then others. With Oprah, Reese and Mindy, I felt like the odd one out. I will tell you guys the truth. But I have to be like: I deserve to be here. I’m here, a part of something bigger than myself. So, yes. There are just so many moments on the daily where I have to remind myself that it’s okay that I am in the room. She’s also quite humble! If you are wondering where you might recognize her from, Rowan is probably best known for her role as Riley Matthews on the Disney Channel series Girl Meets World. 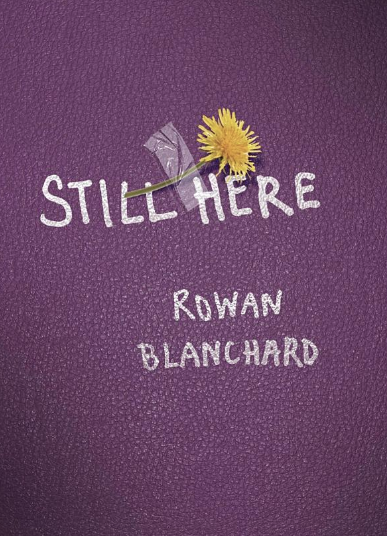 My daughter has long been a fan so we were really excited to see that Rowan recently released a book called Still Here. We just ordered it and I will let you know what we think! From the interview, and after reading the book reviews – I think it looks like a very positive and uplifting book for teen girls! What a light this young lady is and I am so excited to see where the next few years take her! She won my heart over with her advice for young girls. I think one thing that I realized in making my book, was that adults are so shocked when teenagers say that they’re sad, which is really interesting. And especially that age like 11, 12, I remember that was the time where I was most confused because those are right before you’re a teenager and you know that when you’re a teenage girl, there are certain things that you are expected to do. But those years right before where you’re not a baby but you’re not like a teenage girl. And they’re developmentally, really scary years. So, there’s something really nice in the fact that this movie is coming out and that Storm sort of represents this age where you’re still realizing so much about yourself and your not fully grown, and not yet really that far from your childhood. When you see the movie, she’ll be the character that you love to hate. However, without giving away too much, as the story unfolds, your heart will ache for her character Veronica and you will find yourself cheering her on. After meeting Rowan, I’ll definitely be cheering her on! « DECEPTION Comes to ABC on March 11!